In this 35-minute video, Dr. Leigh Kimberg, a Professor of Medicine in the Division of General Internal Medicine at ZSFG/UCSF, defines trauma and discusses how childhood trauma results in adulthood disease and poor outcomes. She says, “Trauma has the incredible ability to rupture relationships with ourselves as well as with others, simultaneously.” Dr. Kimberg uses the socio-ecological model to explain how vulnerable communities experience much higher burden of trauma. Dr. Kimberg explains the Adverse Childhood Experiences (ACE) Study – which asked about 10 categories of childhood abuse, neglect and family dysfunction. She describes that ACEs are common, and are strong predictors of later health risks and disease in a graded dose-response relationship. Dr. Kimberg advocates for clinics to incorporate ACE questions into yearly screenings. 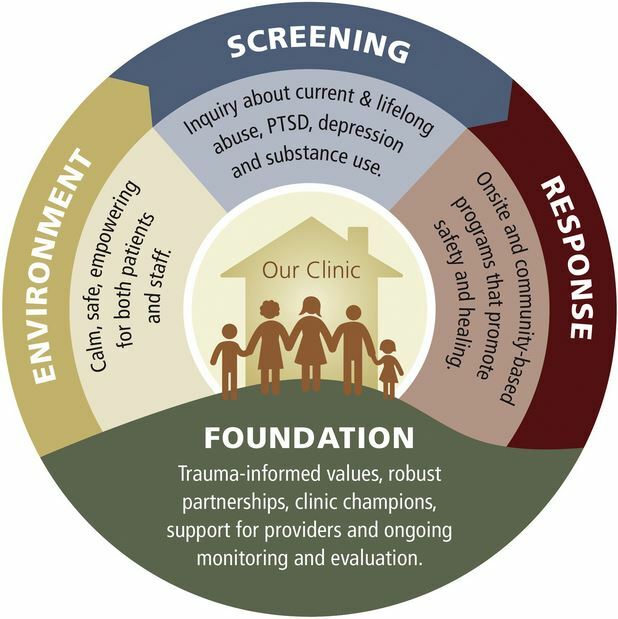 Finally, she highlights the core tenants of “trauma-informed care”, and uses case discussions to practice using the four “C’s” of trauma-informed care: Calm, Contain, Care, and Cope. Silvi Alcivar, owner and poet of the Poetry Store, shares a poem that she wrote in-the-moment to synthesize the presentation. To watch Silvi’s poetry recital, skip to 34:54.